Split-Spoke 3.8" wheels for Revo add another dimension of style and performance. 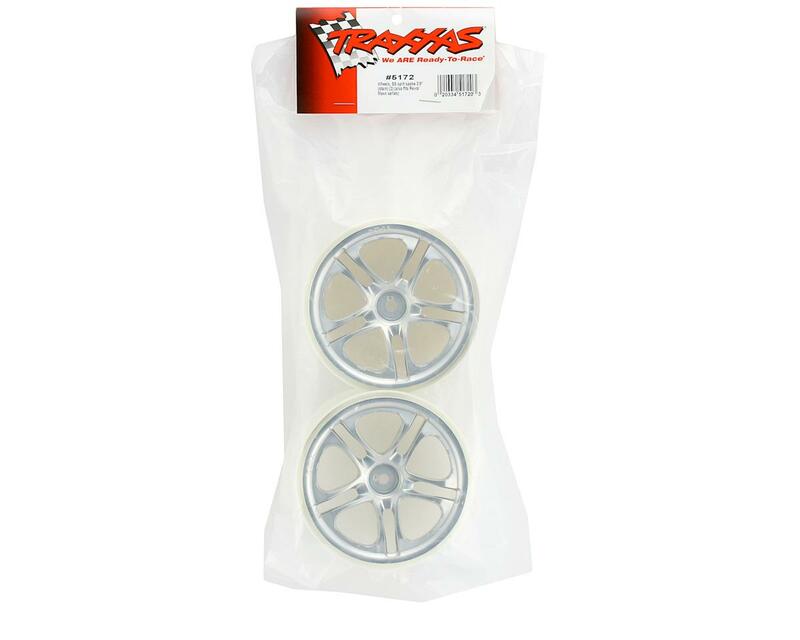 Traxxas Split-Spoke wheels don’t just look amazing; they are fully functional for a race track or a bash session. 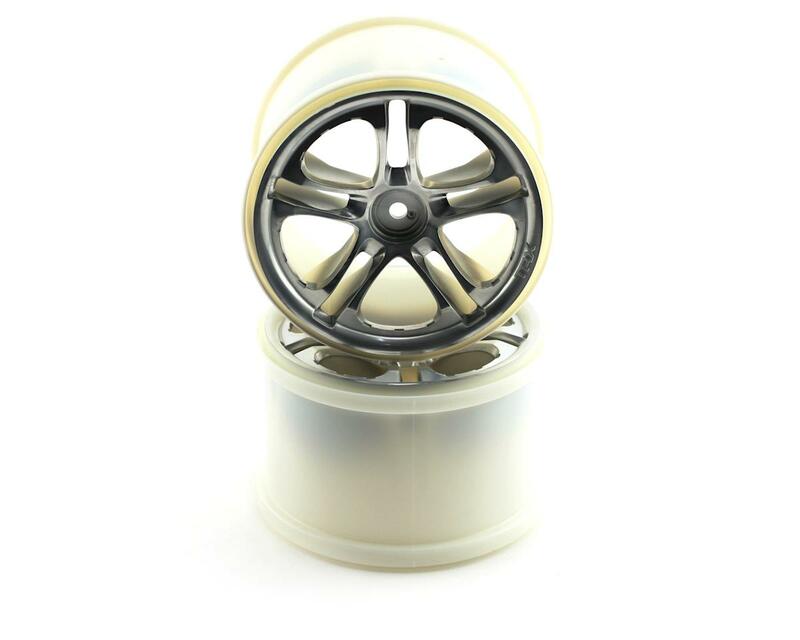 Split-Spoke wheels have a natural nylon bead for fast, easy tire gluing. The horizontal bead helps grab the tire, reducing the stress placed on the glue joint by tire expansion.